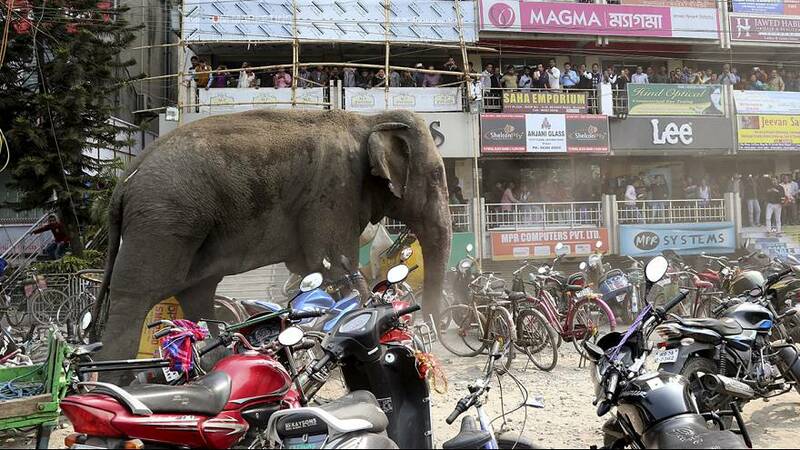 An elephant caused panic in the town of Siliguri in West Bengal state in India. It smashed several houses before being captured by the authorities who used a tranquilliser gun to subdue the animal. The female elephant was then taken to a special park for domesticated pachyderms.